The Application HTC Sense (process com.htc.launcher) has stopped unexpectedly. The only option available was Force Close, and soon as that was pressed the message would appear again. I tried the solutions listed at http://myhtcdesire.com/tutorials/fix-the-application-htc-sense-process-com-htc-launcher-has-stopped-unexpectedly, if the directions on that site work all the better, however if you are in the same boat as me those directions did not work. On my phone I did have any way of getting to the search, nothing on screen, and no buttons would work. Just hitting force close brought the force close option up instantly again and I had no time to do anything. So how did I get into the settings menu? The only way I was able to get was to do a factory reset though the boot menu. You can perform a factory reset by (second half of this video) restarting the phone while holding the volume button down. This will cause you to boot into your factory menu where you can select factory reset. Once the factory reset gave me more time to react before the error popped up. Once the reset was done I was prompted with an introductory video all about my phone. I went through all the prompts until my home screen was loading. Right away before anything loaded I pushed and held on the home screen. This caused the option to add a shortcut to the home screen. I was able to add a shortcut to settings and get to it that way. applications until I found the one that was causing the problem. Did this post save your expensive phone from being a paper weight? Did it save you hours of fustration? Consider buying me a coffee! Recently I was working on a customers computer and when loading a page with a flash video on it, the video would crash.The following message was displayed in the system tray. Display driver stopped responding and has recovered. The machine I was working on was a Dell Inspiron n5010 with a ATI mobility Radeon HD 5470 video card running Windows 7 x64bit. After all the normal troubleshooting and making sure I had the most up -to-date drivers I still had the issue. I ended up coming up with the following solution. Disable Hardware acceleration by right clicking on any flash video, going to settings and unchecking enable hardware acceleration. I hope this saves someone a head ache. 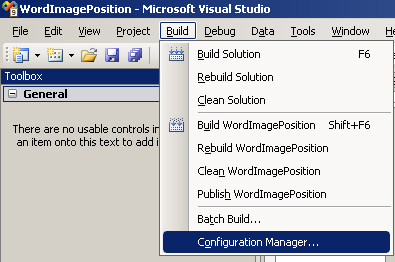 System.BadImageFormatException: Could not load file or assembly'(assembly name)' or one of its dependencies. An attempt was made to load a program with an incorrect format. The likely reason is that you (or in this instance, our customer) are trying to load a 32-bit assembly into a 64-bit application. This can happen when you have the Any CPU platform selected. 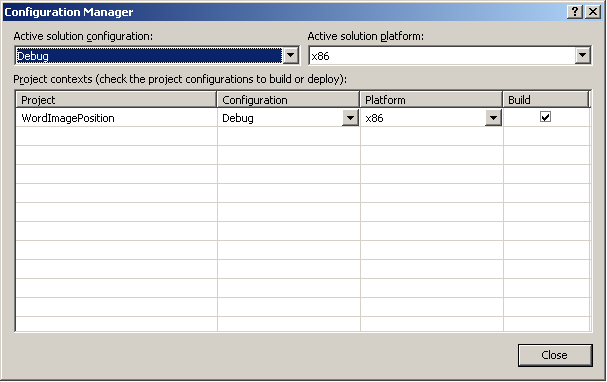 …and setting the Platform to be x86. This article and many others like this can be found on my SoftArtisans blog. If this is your issue log into Google code to obtain the correct repository url. There are many Windows 7 Image resizers out there that integerate into the shell, but this is my favorite.